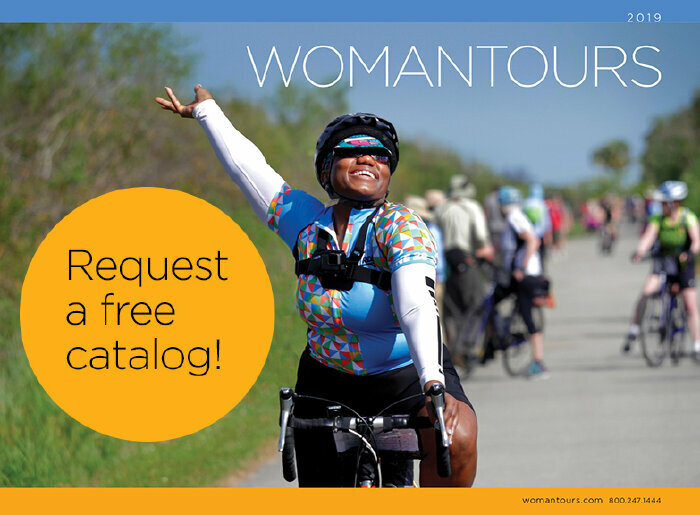 Welcome to our women only bike tour company! We’ve been creating small, inn-to-inn road bicycle tours for women since 1995. Our trips are fully supported with two guides and a vehicle to serve you on the road, carry your luggage, provide your meals, show you the routes, and fit you to a bicycle if you need one. All you have to do is show up and ride! Our bike trips are designed for women of all ages, abilities and interests. Some come with roommates while others come alone, but everyone goes home as friends. If you don't mind sharing a room, we'll match you with a roommate. We all cycle at our own pace. If you wish to skip a few miles, we’ll pick you up in our van. If you'd like to ride an electric-assist ebike, you can rent one from us for your tour. We believe there's no better way to explore the world around us than on a bicycle. "My husband loves how I come home in such a great mood after a tour. Your guides are lovely women, as are the women your business attracts as customers. That’s what makes you far above any competitor."